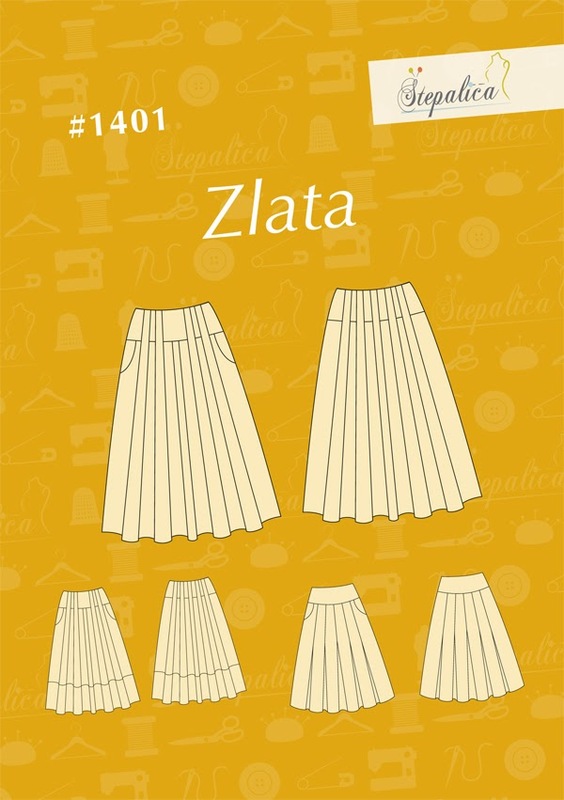 The Zlata skirt pattern offers three variations, but it also includes the lining pattern, which can be used to make one more skirt variation. You've already seen this skirt on the blog, and yes, it was made using the lining portion of the Zlata skirt pattern. The pattern is a simple A-line skirt with waist yokes. In order to use the plaid fabric in an interesting way, I cut it on bias and aligned the plaids so that they form a chevron motif. Even though the Zlata skirt pattern offers only three pattern variations, it give much more options for styling and pattern play. In the following posts I will show you several more interesting options for using the pattern. Šivenje je i lepo i korisno. Iako imam šivaću mašinu od 15.godine, kao devojka šila sam malo, i nekako nisam u tome uživala. Divim se tvojim kreacijama. Na svom blogu sam te nominovala za jednu igricu, volela bih da bar odgovoriš na moja pitanja, ako ti nije do igre u celini.